Outside the Western side, you will find a marker on the ground marking point zero. This is from where all points of Paris are marked. On the Western side of the building, there are three doorway entries into the Cathedral (Portal of The Virgin, Portal of the Last Judgement, Portal of St. Anne) which are the main entrances into the Cathedral; the West rose window with Mary holding baby Jesus flanked by two angels in the middle; and the row of the Kings of Judah lined up right above the doorways. 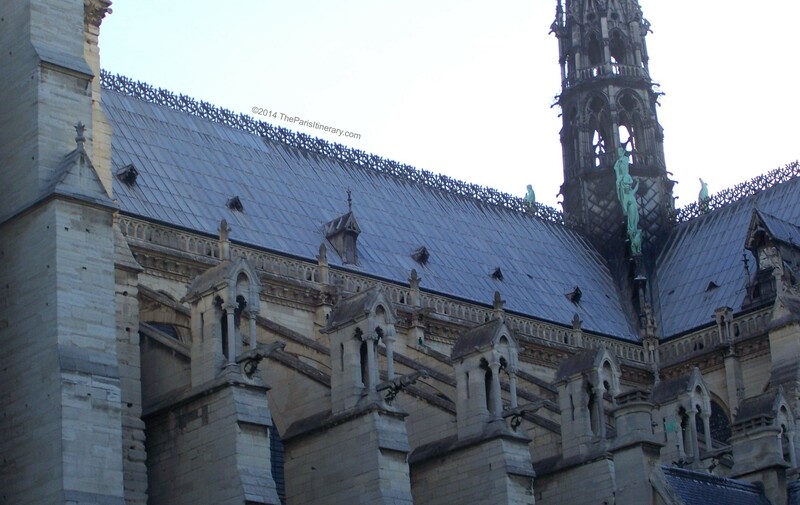 The South side shows clearly the famous flying buttresses used to distribute the heavy weight of the walls and serve as rain spouts. Behind the Eastern side of the Cathedral is a Holocaust Memorial. It is not connected with the Cathedral but it is good to know it is there so you don’t miss it. 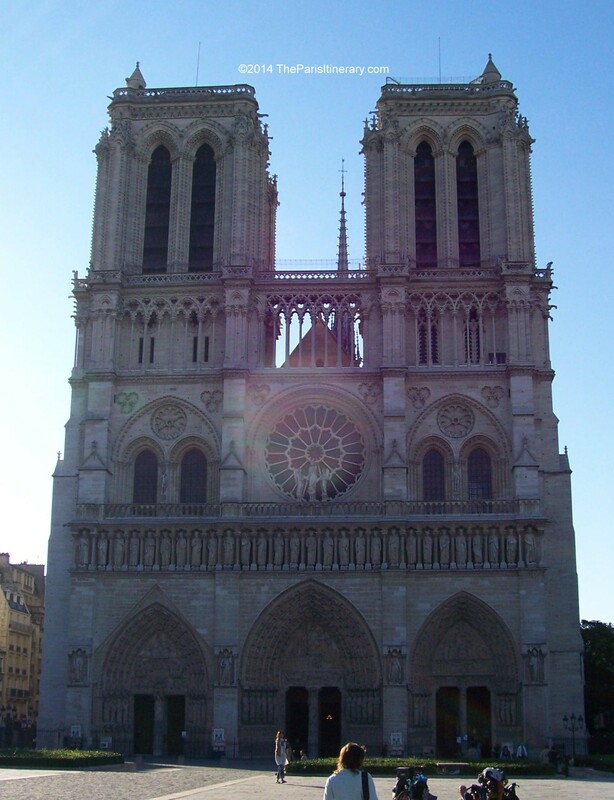 The North side is where to go if you would like to venture up the steps to see the Bell Tower and the Gargoyles overlooking the city. A fee is associated with this tour. 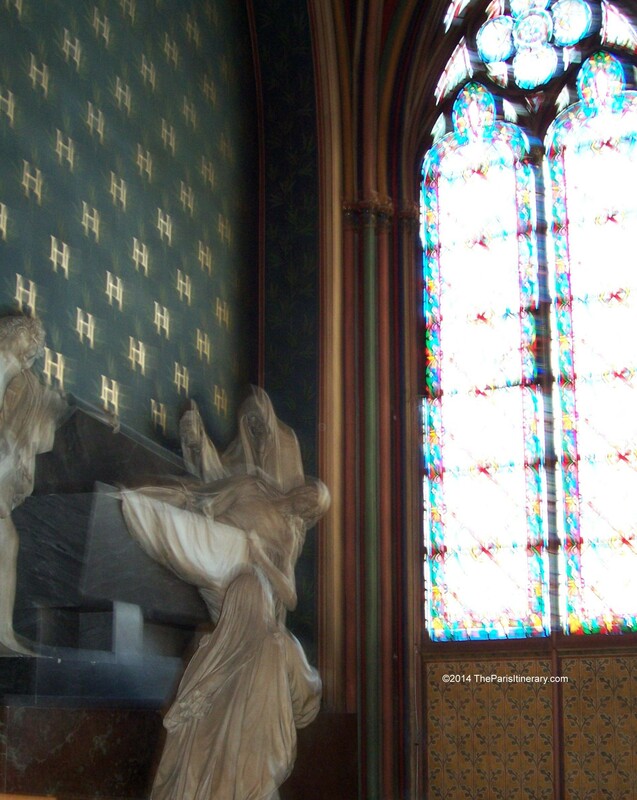 Along the perimeter aisles are individual worship alcoves with stunning statues and frescoes. Down the center of the Cathedral is the corporate worship area. If you get a chance to participate in Mass, do it. Quite an experience. Worship area in the center of Notre Dame. The Eastern end is the Nave and the Western end houses the organ. 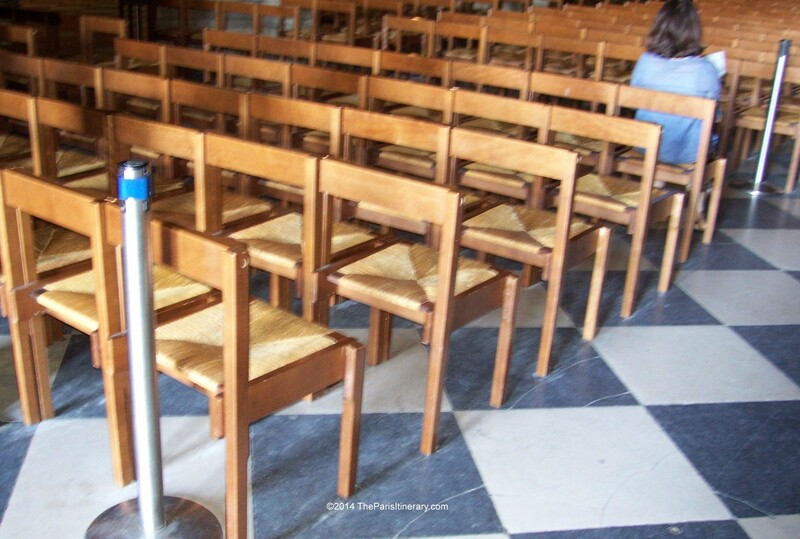 Entry into the Cathedral is FREE but there are donation receptacles throughout the Cathedral. A fee is required to take the tour to the Bell Tower and see the Gargoyles. 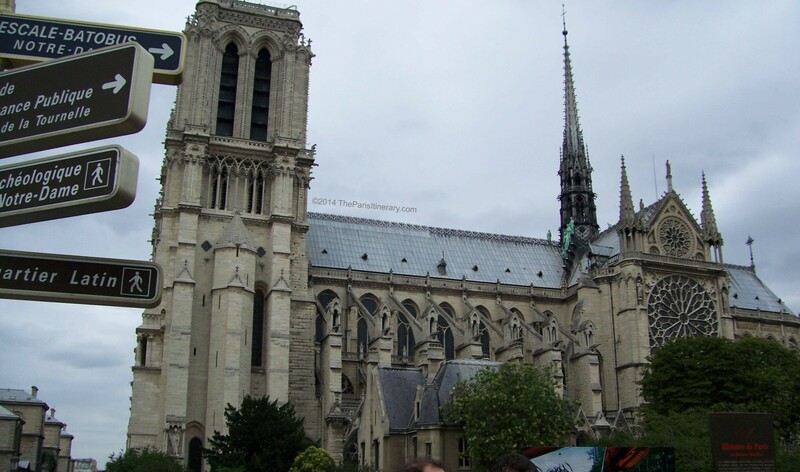 Notre Dame is one of the top iconic landmarks of Paris and definitely worth adding to your itinerary.